Ceramic Veneers are one of the best and quickest ways to make your teeth look snow white and well figured. Ceramic Veneers have revolutionised the world of Cosmetic Dentistry. 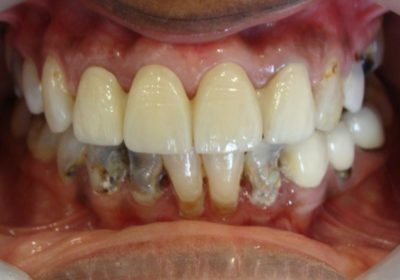 They are used to correct Chipped, Stained, Discoloured, Broken, Malformed Teeth. They are also used to correct gaps between the teeth. Ceramic Veneers are custom made tooth shells that are usually applied over the tooth surface. They aim at covering the enamel of the worn out tooth and help with getting the scratchy tooth aligned. They also help in covering up the spaces, cracks and chips of the teeth with ease. Ceramic Veneers are good alternatives for teeth that have lost colour or shape or have become crooked. 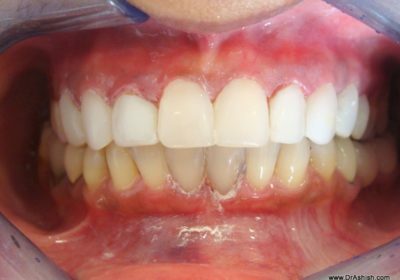 They can even be used to remove the grey or yellow tinge that has got settled on the surfaces of the teeth. This young lady from HongKong.reported with sensitivity in her front teeth. She had cavities for which fillings were done. a thorough examination revealed leaky margins of these restorations. She was not happy with the shade and for of the final restorations. Her sensitivity persisted. 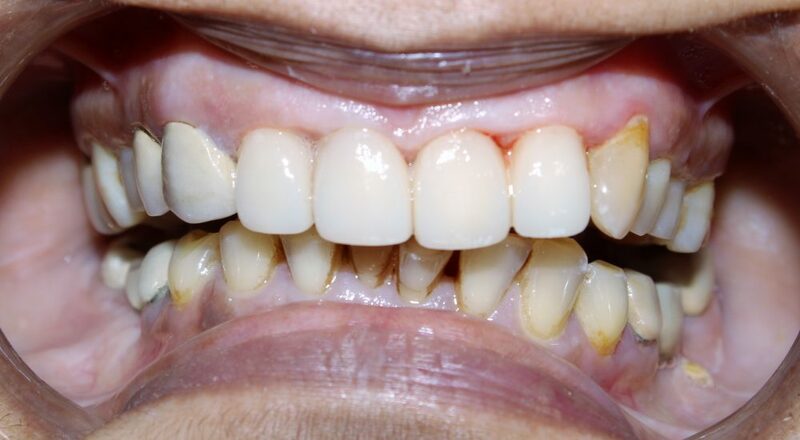 She was prescribed Desensitizing toothpaste for the same. .
She was treated with ceramic Veneers or Porcelain Laminates. 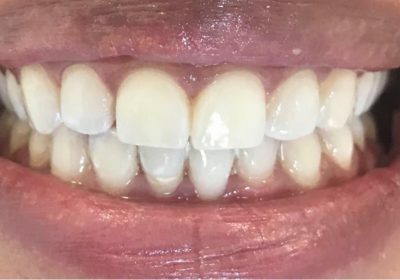 Entire treatment was finished in 4 Days. She was extremely happy and so were we. 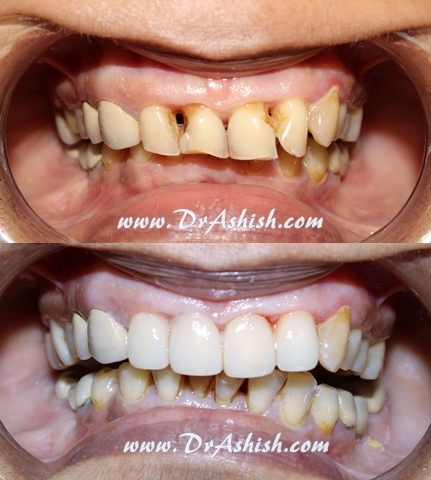 Nothing like seeing a patient with perfect Smile !.